First, it was Perdue Foods' frozen chicken nuggets, and now it's Tyson Foods' chicken nuggets. 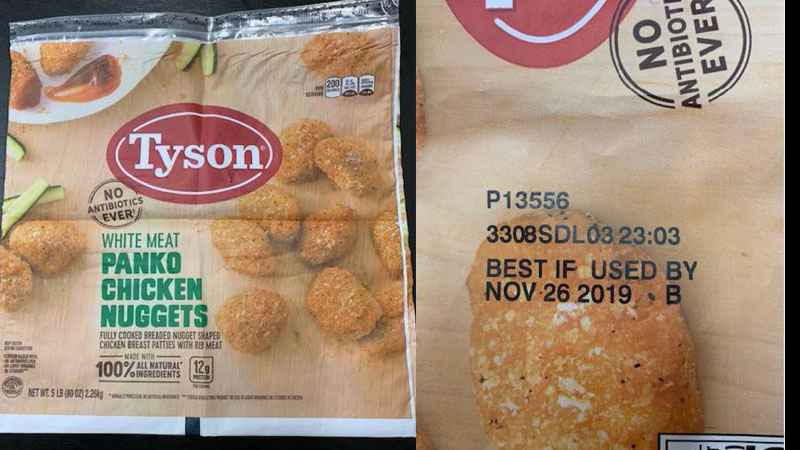 According to the USDA, more than 36,000 pounds of Tyson chicken nuggets have been recalled across the country, including in Colorado, due to possible contamination of rubber. This was discovered when Tyson received multiple complaints from customers about "extraneous material" in the Panko chicken nugget products. "There have been no confirmed reports of adverse reactions due to consumption of these products. Anyone concerned about an injury or illness should contact a healthcare provider," states the USDA. The FSIS states that anyone who has purchased these products should either throw them away or return them to the place of purchase. The recalled products may also be in freezers. Consumers who have questions can contact Tyson Consumer Relations at 1-888-747-7611. Among Perdue Foods and Tyson, other companies have had to recall several of their products in the past week, including General Mills and multiple dog food companies. Do you buy Tyson Foods chicken nuggets? Do you have this product in your pantry? Tell us in the comments.